If you’re looking for a rainwater collection Austin company to start conserving natural, fresh rainwater for your home, lawn and garden, then you should consider Austin Gutterman, Austin’s professional gutter installation and rainwater collection products and installation company. Rainwater collection is probably the best way to provide the best watering for your drought-ridden lawn and gardens. The rain that falls naturally from the sky is not filled with lime or salt that may come up from a well, or the chlorine or other chemicals that can be found in treated water. This is much better for plants, and especially for fruits and vegetables if you’re a gardener. Not to mention, your water bill increases as you use more water, so why not just use the water that Mother Nature provides you? Install a rainwater collection system for your home, and you will rarely see a high water bill again! It starts with the rainwater collection tank, and those come in all sizes, shapes, colors, and prices. Our experts will visit your home to find the best roof lines to provide the maximum amount of water to be collected. We will then suggest a plan to collect water from your roof and feed it into the appropriately sized tank. Our gutter experts will build the rainwater collection system to best suit your home, filling your tank with natural and free water. Austin Gutterman also builds larger rainwater collection systems for businesses. Often a business will have a large roofline to collect large quantities of water, so it can be a cost effective and environmentally conscious way of fulfilling your water needs. 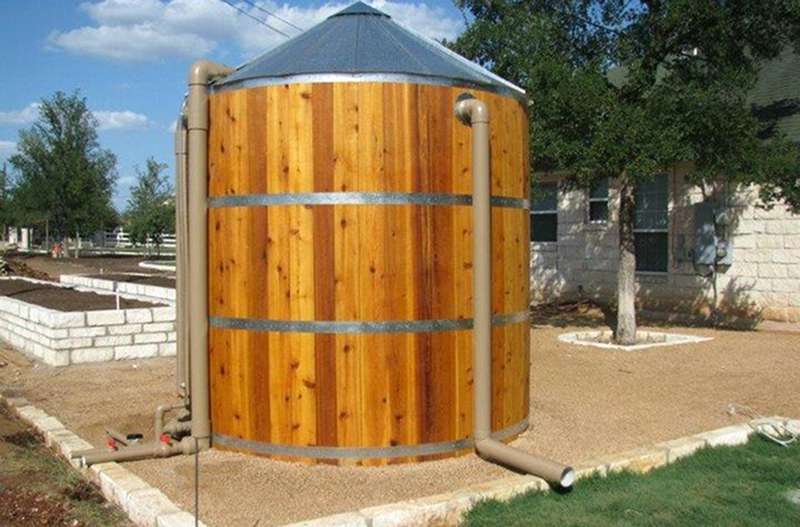 When it comes to rainwater collection Austin, there’s only one rain collection company to consider…Austin Gutterman. Learn more online at www.austingutterman.com, or call 512-450-1821 for a free custom proposal for your home.